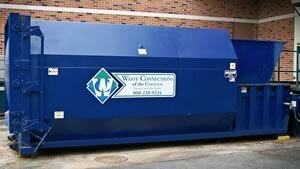 Waste Connections of the Carolinas is one of the leading roll-off services providers in North Carolina. We work to provide the highest level of service, value and professionalism in the waste collection and disposal industry. Our drivers and staff are dedicated to your service. 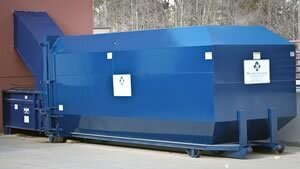 Waste Connections of the Carolinas offers a complete line of trash compactor types and sizes to service our customer’s particular needs. In general, compactors are used when a customer generates a large volume of compactable material or has limited space for the collection of materials. 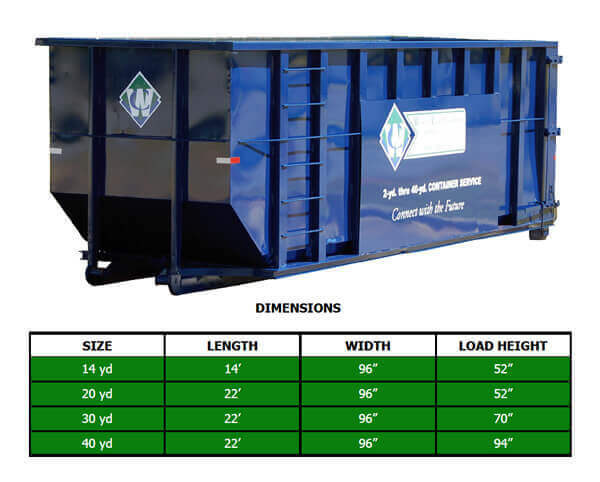 The most common compactors used in the marketplace today are stationary compactors and self-contained compactors. Please contact us for more information. Self Contained compactors are ideally suited for applications where there are large volumes of compactable wet waste. Contact us if you would like to meet with a sales specialist in regards to the use of a self- contained compactor. Stationary compactors are used when there are large volumes of dry, compactable materials being generated. This type of compactor. can be used for solid waste or recyclable materials. Please contact us if you would like to meet with a sales specialist in regards to the use of a stationary compactor.